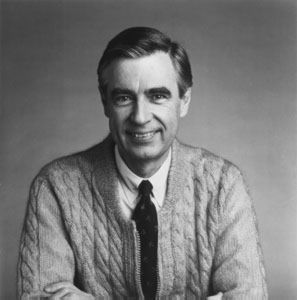 As a child, I watched Mister Rogers’ Neighborhood. It came on right after Sesame Street, which I sometimes watched, sometimes didn’t. But Mister Rogers offered children an avenue to escape — his land of make-believe, arrived at by way of the jingly-jangly trolley, may have been one of the first places that I understood the importance of using my own imagination. The point of this post, however, is not merely to reminisce about television programming from my primary years. Instead, it is intended to reveal an epiphany about modern-day popular poets. 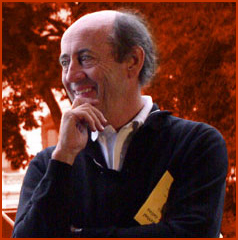 Specifically, Billy Collins as an example. Many critics have lauded Collins’s efforts at raising public awareness of poetry. By that same token, many have criticized him for “oversimplifying” poetry, or making it “too accessible.” No matter how you feel about his contributions, however, Collins has that same presence, that same certain at-ease mystique that Fred Rogers had those many, many years ago: When you listen to Collins read, it is as though you, the listener, are having an across-the-fence conversation with a favored neighbor. His occasional dry wit and all-American approach make him a hit with universal audiences. Just as Mister Rogers shed his formality upon entering his time with young viewers, donning sneakers and a cardigan instead of his preaching coat and dress shoes, it feels as if Collins is shedding the academic veneer so often kept up by other contemporary poets. He is here simply to speak with you, his listener, and perhaps his reader. It is this convincing stage initmacy that makes America love Billy Collins, just as parents and children adored the beloved Mister Rogers for so many decades. That sense of “everything’s okay” that pervaded the imaginary land of make believe equally is exhibited in the voice and presence of America’s former poet laureate. And in an age so full of insecurity and ugliness, time spent in the comfort and beauty of poetry’s surety is certainly time well spent.